Looking For A Part Time Job From Home While The Kids Are In School? 02 Aug Looking For A Part Time Gig From Home While The Kids Are At School? 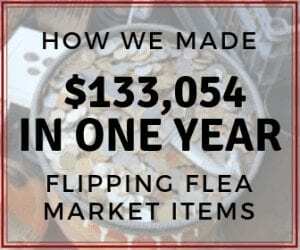 Flipping used items has always been an extra source of income for us. It was our cushion, our savings, and our ‘fun money' that we would use for vacations. In 2016 we jumped into it full time and it is now our primary income source for our family of 5. It can totally be done. I'm not telling you to quit your job tomorrow and start selling used items online full-time. I'm not promising you six figures in six minutes because that's not real. It takes some time and a bit of a learning curve, but if you are looking for a part time job from home to provide that cushion, savings, and fun money, or even to fill the gaps to help pay your current bills, then this might be worth checking out. 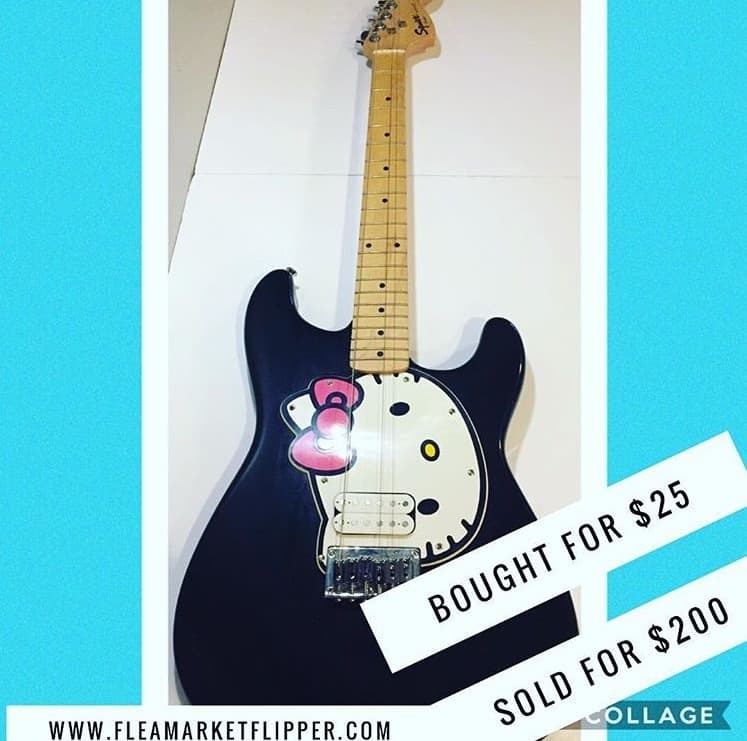 I bought this Hello Kitty guitar at the flea market for $25. I sold it on eBay for $200. 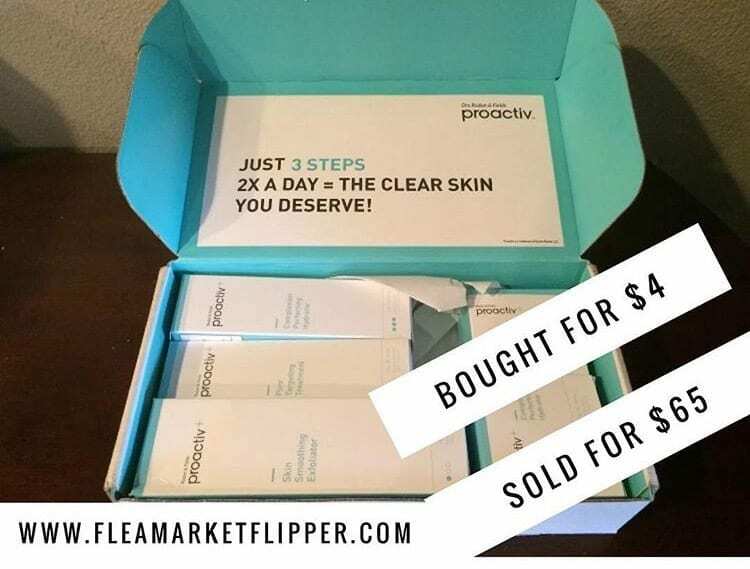 Melissa bought this new sealed proactive set at the flea market for $4, and sold it on eBay for $65. 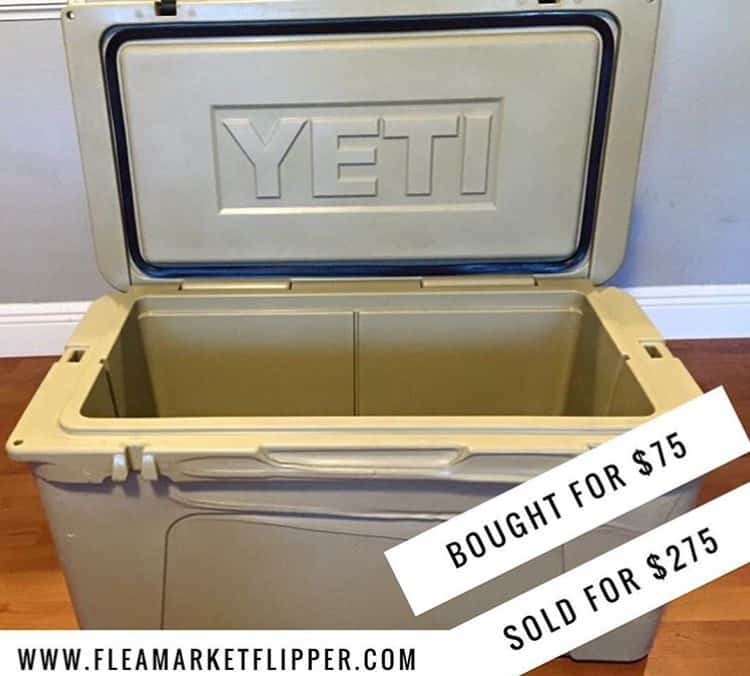 I found this Yeti cooler on Offer Up for $75, and sold it on eBay for $275. I bought this exercise bike from the flea market for $100. Melissa used it for her personal training clients and then 2 years later we sold it on eBay for $2,000. This flip was a fun one. I don't know exactly what this machine does but I took a $5 risk on it. It seemed to be some sort of magnetic therapy device. I sold it on eBay for $700. That was a great $5 spent! 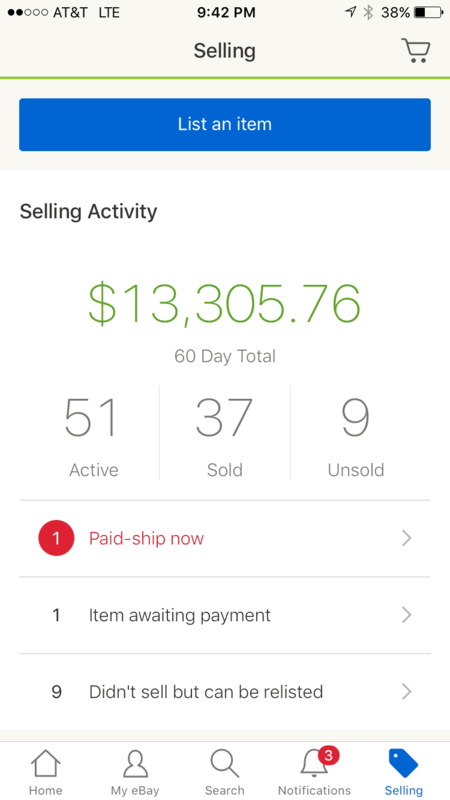 Here is a screenshot of my last 60 days with eBay. (I took this the day of posting). We do some sales outside of eBay too, such as Facebook Marketplace and Craigslist, but the bulk of them are through eBay. $13,305, I'll take it! I also know this past month we did a several flips outside of eBay, so this doesn't represent the total 60 days. 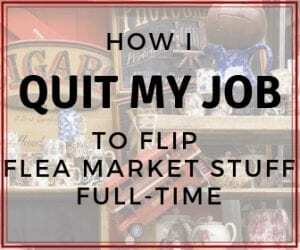 Is flea market flipping a right fit for you for a part time job from home? If you are looking for a part time job from home, buying and reselling could be a great solution! But, you want to make sure it's the right fit for you before you jump in. Do you like visiting flea markets, thrift stores and yard sales? Or browsing apps like Offer Up, Let Go, and Facebook Marketplace for good deals? Are you looking to make an extra $100, $500, or $1,000 per month? Or maybe you want to invest a little more time and make $7,000 – $10,000 – which is my monthly average. These are all completely doable numbers, all depending on the amount of time you invest in yourself. 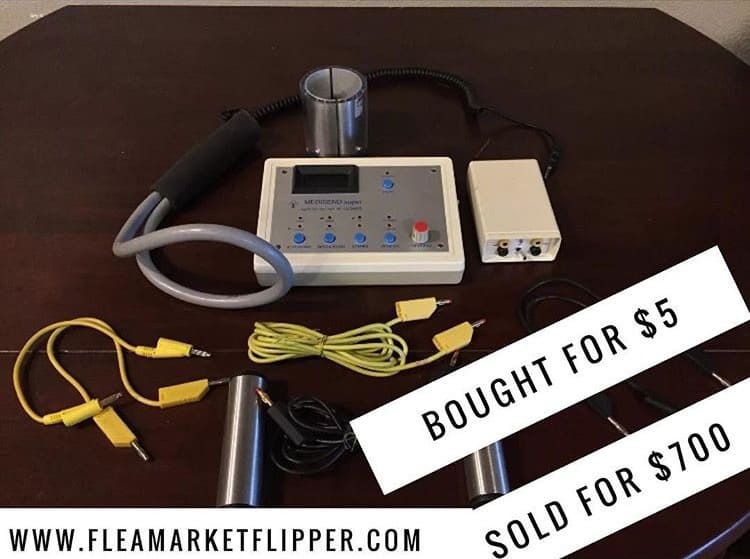 If your goal is a million dollars this year, than flipping flea market items might not be your vehicle to do it, but what would an extra $500 a month do for you and your family? Or an extra $1,000? You set the limit on what you want to earn with this. After reading the above questions, you should have a better idea if picking and flipping items for a profit could be a good part time job from home for you or not. If you are ready to go all in and do this for a side income, we offer an online course to help you get started as quickly as possible. 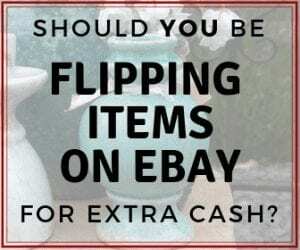 I put in all the details how I successfully am able to provide for my family by flipping items, and keep it updated as changes occur using eBay and the other online buying and selling platforms. 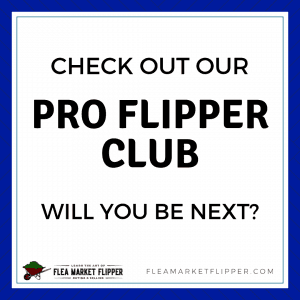 You can check out all the details on our Flipper University Page. If you are on the fence, thinking about whether you should do this or not for a part time job from home, please message us with any questions! We would love to hear from you and answer anything we can to make your decision clearer for you. If flipping flea market items is not for you personally, we are still happy you are here following our crazy journey. Thanks for your interest and support! 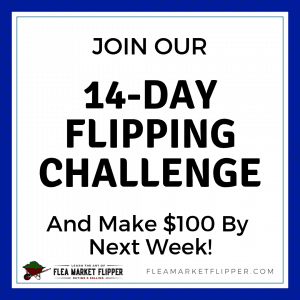 Grab our PDF download of 4 tools that I used to turn $40 into $1,000 in a single flip! 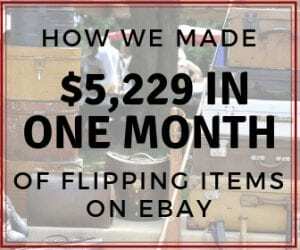 (This will also subscribe you to our e-mail list of flea market flips and eBay tips. You can unsubscribe any time). 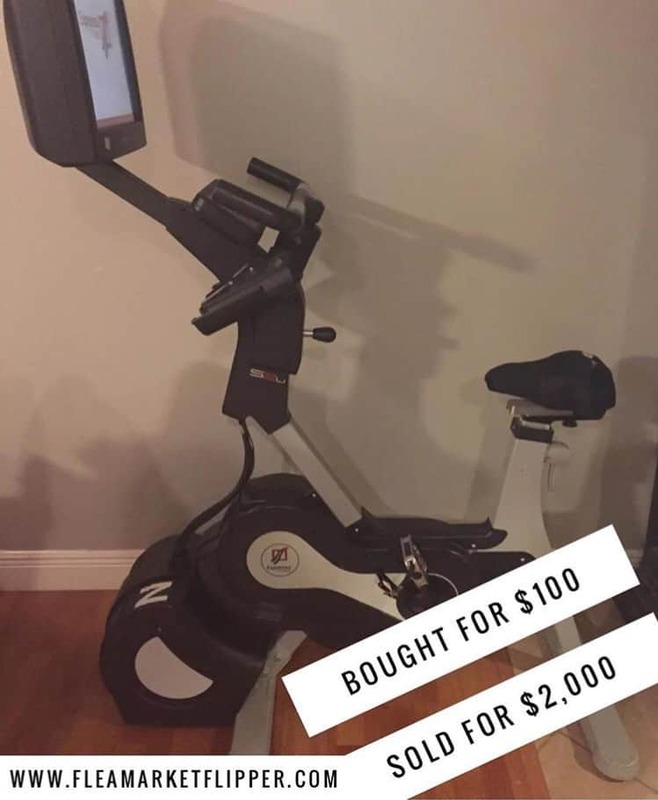 I thought in a previous post you said you sold the exercise machine for a $1,000 not $2,000 was this a misprint or was it a different exerise machine? Sorry just ask because am confused. I really loved the hello kitty guitar. I am definately in the very near future am going to buy your ebook on shipping cost. In the meantime to a newbie with the new ebay world. How would a first time seller be best profitable on shipping? Fed ex? UPS? Staples? What would you recommend would be the best option for a newbie on shipping? Thanks so much for the post. It was 2 different exercise machines. 🙂 You would probably be better off starting with our new book- The Beginner’s Guide to Selling on eBay before jumping into the shipping book.